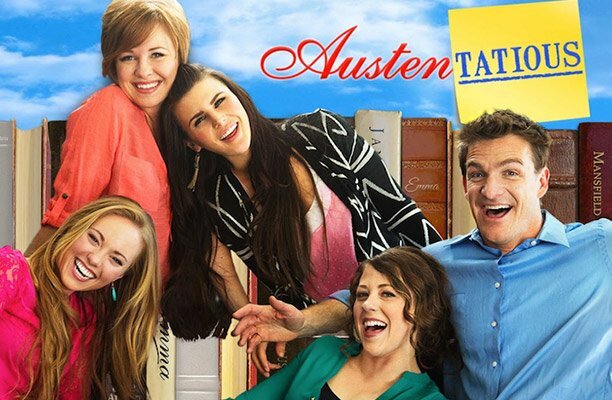 Do you love entertainment about real-life issues and relationships? 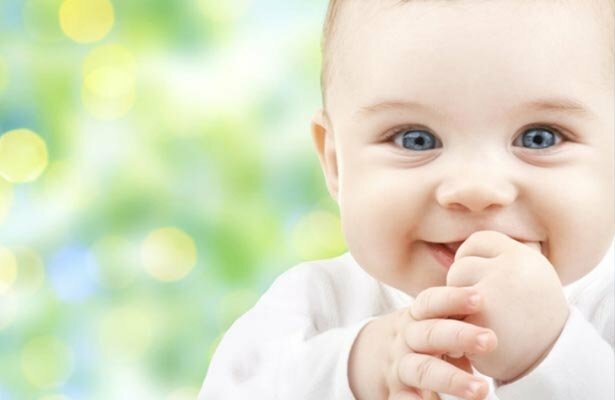 If you prefer viewing films that challenge convention and offer evidence of God’s hand in the most difficult circumstances, you’ll love the movie “Faith Happens”. This movie, along with the series “The Encounter” by director Rick Garside, turn viewing into a visceral experience that strengthens your faith and restores hope. 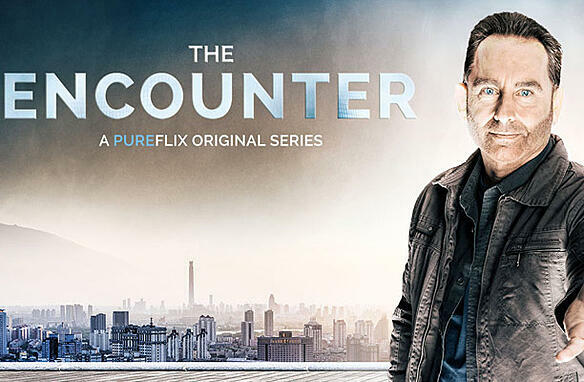 In case you missed it, “The Encounter” series debuted in 2016, created by popular demand after the full-length feature film of the same name. 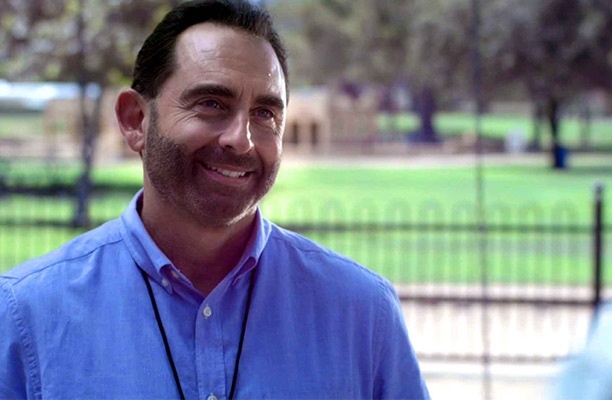 The movie and the series feature Bruce Marchiano, who plays a mysterious nail-scarred man who appears to characters in need of change. The first episode of the series is “The Heist”. A convenience store robbery goes very wrong for two desperate brothers. The store’s cashier, played by Marchiano, is mysteriously able to intervene. He helps the two brothers find hope and turn their lives around. In another episode, Morgan Fairchild plays an aging actress who has defined her life by her looks, money, and fame. “The Man” helps her face the broken pieces of her life and evaluate what really matters. Each episode of the series focuses on individual lives, and illustrates how coming face-to-face with Jesus can cause lasting transformation. It challenges viewers to examine their own lives. Viewers can ask, what would happen if their belief in a living Christ were allowed to permeate every aspect of their lives? “The Encounter” looks at individual life stories featuring characters at a crossroads or in the midst of upheaval. The film asks where God is when things go desperately wrong. 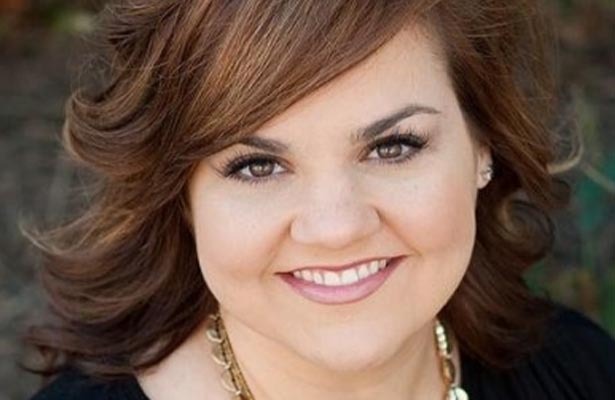 “Faith Happens” continues to face real-life situations without sugar coating. The movie is based on true stories. It follows the lives of a drug addict, an ex-boxer, a salesman, an entrepreneur, a pastor, and a little girl who all go to the same church. It has stirring music and stunning visuals from Kenya and the United States. One story follows Amy, a young girl growing up in a difficult family situation, trying to shelter her younger siblings from pain and violence. She asks why bad things happen and where God is when they do. Another is about Heights Community Church pastor John, while he struggles to bring hope and faith to his congregation, while his wife lies dying of cancer and his son isn’t speaking to either of them. Characters ask how Christians can say there’s only one way to God and ask if there’s such a thing as second chances. Viewer commentary compares “Faith Happens” to the movie “Crash” for the honest ways it highlights personal interactions in difficult circumstances. Its moving, prodigal-son theme shows audiences how God can put together the broken pieces. View entertainment that makes a difference. PureFlix.com offers clean, Christian-based movies and TV programming that gives your family a faith-based alternative to regular television. Start today. 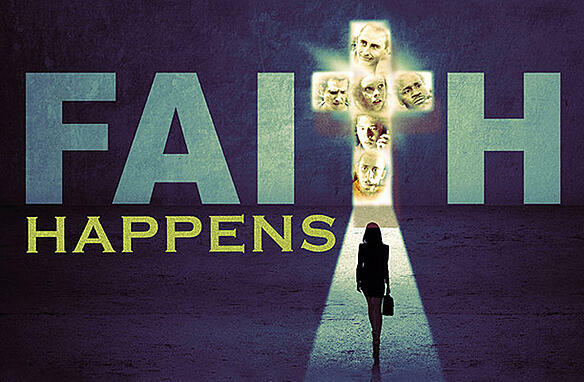 Watch the "Faith Happens" trailer and start your free, one-month trial.